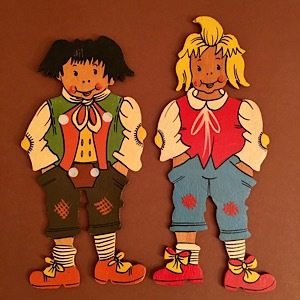 I have never seen Max and Moritz (Bad Boys by Wilhelm Busch) with Bow Shoes before. This wall figure is hand-painted on wood and rare. This entry was posted in -DDR/Erzgebirge.